Palestinian novelist Ghassan Kanafani is often compared to William Faulkner, Bertolt Brecht, and occasionally, to Arab authors such as Yahya Haqqi, all bound together as allegorists. 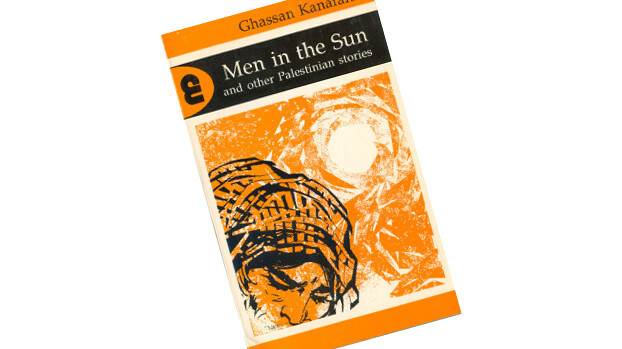 The Palestinian novella, Men in the Sun, written by Kanafani in 1962, clearly allegorizes the post-1948 Palestinian refugee experience of deracination and attempts to escape it most starkly. It is the story of three refugees, who illegally travel to another country in search of better lives. Facing miles of desert treks under the scorching sun, the three men end up slowly asphyxiating to death in the back of a water tank truck. Worst and most ironically of all given their lengthy struggle, they do not attempt to save themselves by banging or knocking on the walls of the tank. A classic of post-colonial Arabic literature, Men in the Sun has been lauded for humanizing the discordant Palestinian plight and criticizing the Arab leaders’ silence on the Palestinian issue. However, once the novel is read allegorically, it becomes problematic because the fictive narrative does not easily map onto a fixed system, or political order, and therefore does not offer a concrete representation of the lives of Palestinians refugees. Using Walter Benjamin’s literary and cultural critique offered in Illuminations, this essay demonstrates how an allegory can be constructed in a new manner whereby the state is in development and where nationhood is in the process of formation. To build this argument, I explore notions of experience, trauma, memory, time and space, nation, and gender. Men in the Sun follows three Palestinian refugees: Abu Qais, Assad, and Marawan as they attempt to illegally cross the Iraq-Kuwait border in order to seek employment in the Gulf state; their trauma of existential exile is further exasperated by a harrowing smuggling journey they must undertake in the belly of a water container. Throughout the novella, the characters wrestle over the cost of the journey as well as their own safety and indignation with the profiteering smuggler, but eventually succumb to their struggles. The passive deaths of the men against the backdrop of their ongoing struggle to reach Kuwait amid the suffocating heat of the tank closes the novella with poignant irony. Kanafani, however, was not allegorizing an aesthetic ideal, but rather a cutthroat and dangerous reality. The distinction between these two ideas mirrors the difference between the traditional allegory and what is known as the modern allegory. Benjamin speaks to this in the German context of drama tragedies. In the Origin of German Tragic Drama, Benjamin makes a relevant distinction between classical German idealism and Romantic thought on one hand, and the modern allegory on the other. He projects his own ideas of what an allegory should constitute in German Baroque literature by making the following comparison: “By its very essence classicism was not permitted to behold the lack of freedom, the imperfection, the collapse of the physical, beautiful nature. But beneath its extravagant pomp, this is precisely what Baroque allegory proclaims….” Benjamin additionally argues that the Baroque movement is corrective of the art of the classical and Romantic traditions which have a “false appearance of totality,” especially when merged with the theological, and which distort the true form and function of the allegory. Benjamin defines an allegory as a form of expression akin to those of speech and writing, which carries certain attributes such as ambiguity, multiplicity of meanings, disunity, and a shock experience! Most saliently to the Palestinian narrative, Benjamin does not argue for the suppression of an experience but instead seems to be emphasizing the changing nature of that experience, particularly within modernity. Moreover, the nature of experience changes in light of the form of the experience that is partaken. Forms of mechanical reproduction, for instance, carry no place for experiences because they partake in the deterioration of the ‘aura’ of those experiences. According to Benjamin, its aura diminishes when a work of art becomes reproducible such as in the technology of the camera as well as in modern ‘crowd’ experiences which are “closer to mechanization,” according to Benjamin. Hence, one might argue that Benjamin’s notion of experience, though preeminently an experience in its own right, is also invested with intense emotions or psychological ideas such as shock, trauma, and mechanization which might deform or distort the experience in light of Benjamin’s conception of the modern allegory, which purports such characterizations. Within Kanafani’s novella, geography and memory become elemental to the experience of trauma and struggle. In the opening scene, Abu Qais lies on the ground near Shatt El-Arab, the estuary of the Tigris and Euphrates rivers. He recalls a classroom lesson in which the location of Shatt El-Arab was taught, and moves on to measuring the distance between where he is at present and where he is going: “On the other side of this Shatt, just the other side, were all the things he was deprived of. Over there was Kuwait.” Hence, memory impels geography to become more prominent, but also further traumatizes the present experience. In an analysis of Baudelaire’s Fleurs du Mal, Benjamin argues that a “memoire involontaire” (experienced in the register of forgetting) is capable of robbing a person of the “ability to experience,” and causing the “present state of collapse of the experience that he once shared.” This is precisely the case with Abu Qais, whose synesthetic experience of the “scent of the earth,” which constitutes the memoire involontaire, gives way to the realization that he is dispossessed from his homeland of Palestine, the bearer of these scents that he is immersed in recollecting in the present. In another scene, Assad is cautious about choosing a proper guide for the trip; he recalls the first time he had to undergo an ill-fated smuggling passage from Jordan to Iraq, during which he was duped by his guide into walking around the H4 pipeline stretching from Kirkuk to the Mediterranean. The journey resulted in him barely evading death and in his subsequent obervation, “If they had taken me to the desert prison, Al-Jafr, at H4, I wonder if life would be kinder than it is now.” Therefore, a recollection, whether positive or negative, opens up to a traumatic and destructive present moment which removes the ‘essence’ of experience and which emphasizes an immense geographic distance and journey to be undertaken. Edward Said in particular has written on this situating of the characters in the ‘present.’ In his analysis of Men in the Sun, Said writes that the conflict in the book turns about the “contest in the present; impelled by exile and dislocation, the Palestinian must carve a path for himself in existence.” Though this statement might look futuristically upon the role of the Palestinian, it also shows how the future is dependent upon the present situation, which is in constant contestation with its own stability and struggle against dissolution. Hence, the present (or rather the present situation) becomes continuous in light of the volatility of the Palestinian political reality and the political action or lack thereof of the Palestinians who occupy its core. For instance, the attention to time in the novella is attached to the dangerous position the characters find themselves in. They must pass two checkpoints in the heart of the smuggler’s container, Abu Khaizuran; the time spent at each checkpoint is meticulously calculated and appraised, so that each minute is counted either towards the characters’ survival or demise. When the characters emerge safely the first time, they discuss the period of their submergence in the air-tight container with much anxiety. Abu Qais says, “It was six minutes. I was counting the whole time. From one to sixty, a minute…I counted six times….” Passing the time it takes to go past two checkpoints while holed up in a tank, the characters’ overbearing experience of time extends to and is in fact determinant of their death. By the time Abu Khaizuran reaches the second checkpoint and is delayed, the characters, who have taken refuge in the container, are dead. The subliminal political message that Abu Khaizuran puts forth is: “Why didn’t you knock on the sides of the tank?” Therefore, the time to act becomes important, the opportunity for which is missed in the novella, causing Palestinian resistance to revert back to its ‘present stage’ where the present continues to represent instability, the possibility of demise, and even apathy. The world which Kanafani writes about is one of Palestinian political disenchantment; Arab leaders have either turned their backs on Palestine or enabled policies repressive of Palestinians within their own countries. By 1970, Palestinians suffered from isolation in Lebanon, were driven out of Jordan beginning with the events of Black September, and were marginalized under two post-coup administrations in Iraq and Syria. This goes to show how allegory cannot presently be grounded in a conception of the Palestinian situation as stable, especially when connotations of temporality and nature of struggle might change with the ability to resist the occupation and dispossession. The personal story of Abu Khaizuran might represent a symbol of that resistance; it is offered as a counterpoint to the despondent story of the three characters, who refused to knock or bang on the sides of the tank, in which they were smuggled across the Iraq-Kuwait border, in order to save their own lives. This futility is further illustrated when Abu Khaizuran later becomes impotent during the 1948 war. His impotence is allegorical of the loss of nation and his own country’s political failure. He laments his losses, but also tries to re-assert his masculinity by desiring to get married. Abu Khaizuran is then seen as attempting or desiring to regain what has been lost of his body and virility as well as his nation whereby, one can argue, a wishful restoration of masculinity is equated with a desire for nationhood and its fruition. Though he proclaims that the motives for helping the characters cross over are greed and a plain desire to settle down, he also tells them that he had acted as their savior and “rescued them from the claws of the fat man,” who has led many to their graves through his negligent smuggling practices. He more importantly dismantles the indestructible façade of the fat man by recounting how he has stopped being unconquerable to many who take the trip, and wish to return and “throttle him.” His valedictory message—knocking, inspiring resistance and action—emphasizes the more hopeful and salient message he tries to convey against the tragedy of the novella. By that, one can largely argue that the world or situation of national identity that the author allegorizes is prone to change, even positively. There are, however, conflicting debates on how a national allegory should function and to what it should pertain. Frederic Jameson turns the “other” of the allegory into the frozen category of nationalism and national identity when he argues in a seminal essay that “all third-world texts are necessarily…allegorical, and in a very specific way: they are to be read as what I will call national allegories…” Jameson continues to argue that such texts project a political dimension, and should primarily be read politically in light of the continuing experience of colonialism and struggle for independence that dominate “Third World” cultures. Incapable of reflecting private subjectivity in their works —or anything of the private domain which is inseparable from politics in third-world milieus — third-world authors cannot recount “the individual experience,” and therefore construct national allegories in relation to “the whole laborious telling of the experience of the collective itself.” Hence, the collective identity is posited as public, national, and political altogether, an idea contended in the famous rebuttal offered by the critic Aijaz Ahmad. Ahmad, first and foremost, contends that Jameson’s argument is both reductionist and positivist since nationalism is not necessarily the only political experience of all third-world countries whereby “there is nothing else to narrate” and that national allegories are not the most exclusive nor the only forms of literary device and expression used. Ahmad also objects to the totalizing of historically, economically and nationally different experiences into binary oppositions such as first/third world, and nationalism/postmodernism, to name a few. With regards to the collectivity of the national experience, Ahmad uses Jameson’s private/public argument to argue that a personal experience can be a collective along the lines of other forms of collectivity such as race, gender, religion, class…etc., other than the nation, thus eliding the use of national allegory altogether. My main concern is not whether the private or collective is allegorized, but rather whether the reader of the allegory discerns its “breaks and heterogeneities,” the gaps and discontinuity, and “the multiple polysemia…rather than homogenous representation,” all of which are attributes that Jameson considers when deciphering his national allegory. Jameson, however, searches for these attributes on a textual level and does not discern their extra-textual validity. On that note, Amy Zalman, who authored a journal article on two of Kanafani’s novels, suggests a compelling reversal: she writes that the ‘extra-literary ground’ is that which is in flux while “the more stable narrative exists inside the novel.” This debate invokes Benjamin’s argument showing how an allegory can function in a new way to explain the discordant realities both inside and outside the worlds of the novella. Benjamin does so by naturalizing the ambiguity of an allegory, which, according to him, is a basic characteristic that must be present (within the allegory). Ambiguity in allegory works against the law of economy, and therefore “is always the opposite of clarity and unity of meaning.” One can argue that the ambiguous situation of characters that essentially become functions of the remittance system and immigration reality finds some common ground with (the outside) reality in the other/counterpart of the allegory, causing both worlds of the allegory to become more bridgeable. This holds true in Benjamin’s attribution of the notion of ‘truth’ in allegories. For him, allegory could not exist “if truth were accessible: as a mode of expression it arises in perpetual response to the human condition of being exiled from… truth.” Similarly to ambiguity, “exile from truth” extends across the border between the novel and the outside world whereby the daily realities of the refugees and characters, as well as the political fruition of their homeland or Palestine as state, grow more eccentrically adverse and far-fetched, and also intersect. For example, the notion of the past homeland and the collective memory of the lost 1948 war are points that remain as fragments of memory or traces and reminders of an unattainable truth both inside and outside the novella. Consequently, perhaps what Benjamin’s notion of allegory supports is a rethinking of the allegory based on new, non-fixed experiences that aid in opening up space for change and resistance (such as Abu Khaizuran), as well as bridging both sides of the allegory by its inherent emphasis on attributes such as ambiguity and disjunction. Literary critics and scholars have been all too aware of the text’s polyphonic art of ambiguities, fragments, breaks and absences. Kanafani’s work has been received variously as a piece of resistance literature, a work of representation, and as a post-colonial text. Saree Makdisi, for instance, argues that the novella implicitly rejects national boundaries, a point that echoes Ahmad’s proposition. Boundaries also include: “the conceptual and political systems that go with them, above all that of the independent nation-state.” Abu Khaizaran’s haunting question: “Why didn’t they knock on the sides of the tank?” suggests a call for “purposeful resistance that brings life to death,” as argued by Mausawai in the Postcolonial Arabic Novel: Debating Ambivalence. He continues: “The purgatory denounces a reality, but it also draws attention to its complications.” The complications are precisely the ambiguities of Palestinian existence, one that lives despite and beyond its own death. An allegory, such as the one that Benjamin proposes, must take into account the peculiar, ambiguous, and shocking character of the Palestinian situation. In other words, the (political) situation to which a reader might attach or affix an allegorical relationship is an unstable and fluid one. Benjamin’s pertinent criticism of the allegory adopts in its framework this dissonance between the two worlds of the allegory, namely by attaching new meanings and attributes to them as well as attempting to bridge them. Trauma and shock are pertinent to any experience being allegorized. The tension between national and non-national or modern allegory presented in this essay strikes at the core of a contemporary debate on Arabic literature between Jameson and Ahmad. Indeed, the modern allegory should redefine itself to fit and be able to represent a reality that cannot possibly be defined. Aijaz Ahmed, “Jameson’s Rhetoric of Otherness and the ‘National Allegory’,” SOCIAL TEXT 17 (Fall 1987), pp. 3-25. Benjamin, Walter. “On Some Motifs in Baudelaire.” Illuminations. Trans Harry Zohn. New York: Schocken Books, 2007. Benjamin, Walter. The Origin of German Tragic Drama. Trans John Osborne. London: NLB, 1977. Cowan, Bainard. “Walter Benjamin’s Theory of Allegory.” New German Critique 22 (1981), pp. 109 – 122. Web. Fredric Jameson, “Third-World Literature in the Era of Multinational Capital,” SOCIAL TEXT, 15 (Fall 1986), pp. 65-88. Web. Kanafani, Ghassan. Men in the Sun and Other Palestinian Stories. Trans Hilary Kilpatrick. London: Lynne Rienner Publishers, 1999. Print. Makdisi, Saree. “Postcolonial” Literature in a Neocolonial World: Modern Arabic Culture and the End of Modernity,” Boundary 222, No. 1 (Spring, 1995), pp. 85-115. Zalman, Amy. “Gender and the Palestinian Narrative of Return…”Literature and nation in the Middle East .Ed. Suleiman, Yasir and Ibrahim Muhawi.Edinburgh: Edinburgh University Press, 2006, pp. 48-78. Nadeen Shaker is an Egyptian journalist covering global human rights and the Middle East. She is completing a joint degree in Journalism and Near East Studies at New York University.